OLD PARKED CARS. 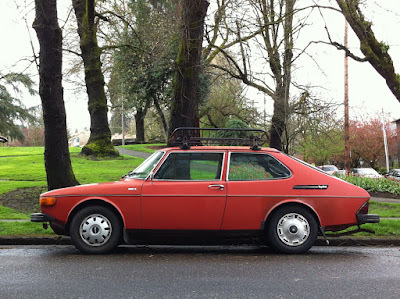 : Sunday Morning Bonus: 1976 Saab 99 GL WagonBack Combi Coupe, Revisited. Sunday Morning Bonus: 1976 Saab 99 GL WagonBack Combi Coupe, Revisited. A no-brainer Best-of-2011 spotted by Ben some eleven months ago. Happy me when it appeared a block from my house! Deliciously saturated digital colors courtesy of iPhone. Great to see this 'ol Swede still chugging along. Great patina, and a mismatched hubcap to boot. I have an organ dedicated to loving a Saab 99, going altogether unused. 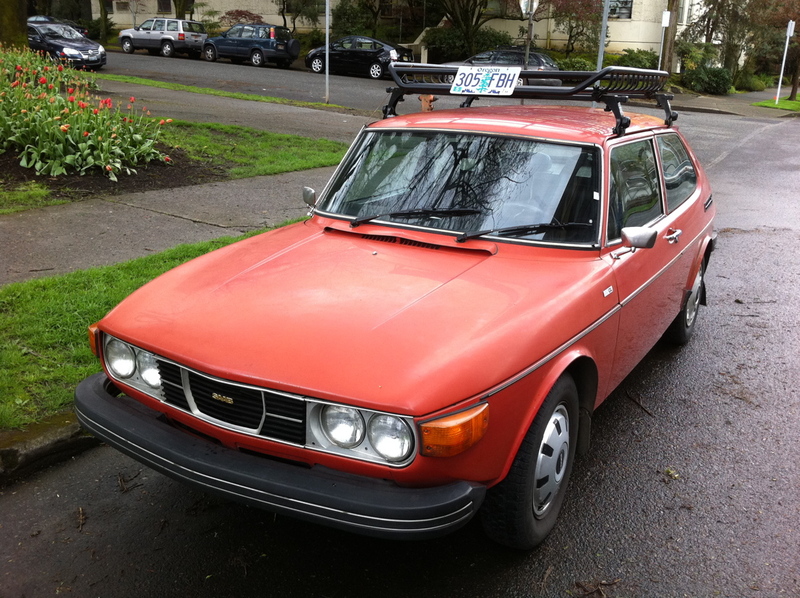 My very first car was a 74' Saab 99LE. I bought it off the back lot of a Chrysler dealership for $500 bucks. 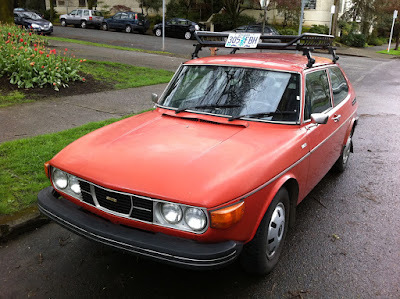 Towed it home with a rope....filled the clutch reservoir with fluid....bled the clutch slave cylinder...pumped up the pedal.....and was blissfully driving down the road in love with my new Swede! Must-shoot-setting! Within the month following my initial sighting, I saw this gem merging onto the highway near our apartments. It's a tiny car, but it looks even better at speed! That's my car! The mismatched hubcap has since fallen off and been replaced by a matching one. It only has just over 100k, by the way. What you might not guess is how good it is driving in the vineyard where I work. Saab made good little rally cars back then. I have been looking for ages for the hubcaps of the left front wheel (driver side). 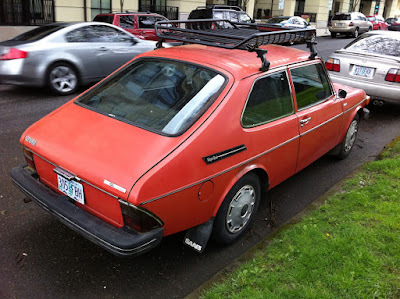 Even some US pals I asked in the Saab scene haven't got a clue where they went. These were original '73-74 USA delivered caps. Darn!